Performers include: Patricia Arquette, James Van Der Beek, Ted Danson, Hayley Kiyoko, Charley Koontz, Shad Moss, and Peter MacNicol. Another TV series in the CSI franchise, this crime drama is inspired by the advanced technological work of real-life Cyber Psychologist Mary Aiken. Special Agent Avery Ryan (Patricia Arquette) heads the Cyber Crime Division of the FBI at Quantico, Virginia. It’s a unit at the forefront of solving illegal activities that start in the mind, live online, and play out in the real world. She knows firsthand how today’s technology allows people to hide in the shadows of the Internet and commit serious crimes of global proportion. Avery’s second-in-command is Senior Field Agent Elijah Mundo (James Van Der Beek), a self-proclaimed action junkie who is an expert in battlefield forensics. He’s not afraid to put himself at risk in the pursuit of justice. Special Agent Daniel Krumitz (Charley Koontz) is an introverted technology genius who has a quick wit and isn’t afraid to be brutally honest. Special Agent Brody Nelson (Shad “Bow Wow” Moss) is an former hacking savant who chose to work for the FBI over a life of cyber-crime. FBI Analyst Raven Ramirez (Hayley Kiyoko) is a rookie who’ s an expert in social media, cyber trends, and international relations. Avery’s supervisor is Assistant Director Stavros Sifter (Peter MacNicol), a shrewd FBI career insider and the clearing house between FBI Cyber and all other branches of government. The fate of the U.S. government is at stake as Avery and the Cyber team search for the hacker responsible for the largest breach of highly classified data in history after millions of federal employee files are stolen. Also, Avery and her ex-husband have a heart-to-heart and D. B. considers a future with Greer. First aired: March 13, 2016. What do you think? 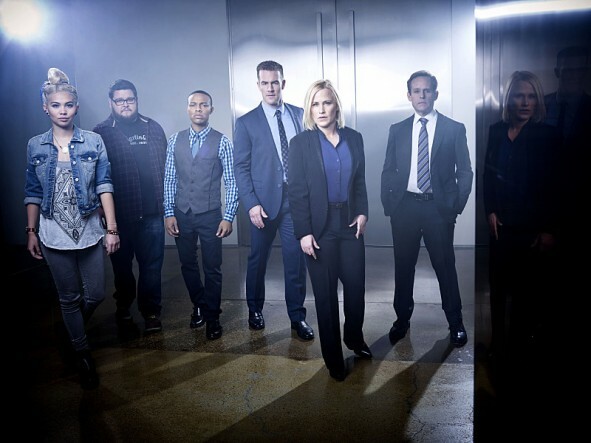 Do you like the CSI: Cyber TV show? Do you think it should have been cancelled or renewed for a third season? I really enjoyed this show and I also learned a lot about computers from it. Sorry it was cancelled. don’t know. background music too loud. Bring this back or create either air force or navy cyber warfare show. This show had great potential. Different, current with tech crimes and threats and a different spin on crime shows. However, I knew right from the beginning this show would be cancelled early. They totally dropped the ball on this. Bad scripts, too many goofy lines, boring stories, bad casting and just plain bad acting buried this show. It was a disgrace to the CSI franchise. I predict a show like this WILL be done again, eventually, but it will be done right. Probably in the next 3 years. Keep it cancelled! The episodes are not intriguing to say the least. It’s not suspense filled enough. please bring it back. they always cancel my favorites. Both my husband and I loved this show! It was one of the very few that we watch together. We have very different tastes in shows, but we both loved this one. We were wondering if it was cancelled due to possibly giving more IT bad guys more ideas. It’s a shame the way our world is turning out and getting progressively worse. This show being cancelled was a huge mistake.. Out of all the CSI shows,this one was the best. It really got people thinking about there electronic usage and what can happen. I don’t think they gave the show enough time or advertisement. Everything in today’s world is about internet,phones,texting,googling,computers and software. This,show really hit home and I hope someone gets smart enough to realize that and pick this show up and give it more of a chance.. I’m a blogger and I blog about Movies,Shows and Entertainment.